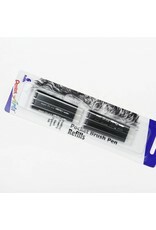 These refill cartridges fit the Pentel Pocket Brush pen. 6 cartridges per pack. Black ink.